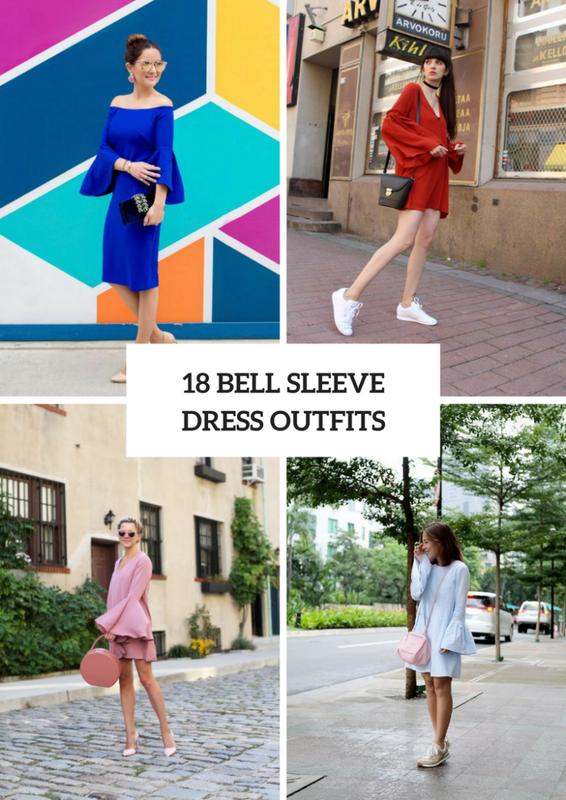 No doubt every fashionista wants something airy, feminine and chic for summer days, that’s why we’ve prepared for you elegant and fabulous bell sleeve dress outfit ideas. Dresses with such sleeves will be perfect for any occasions, so you can boldly create with them relaxed, casual or cocktail party outfits. 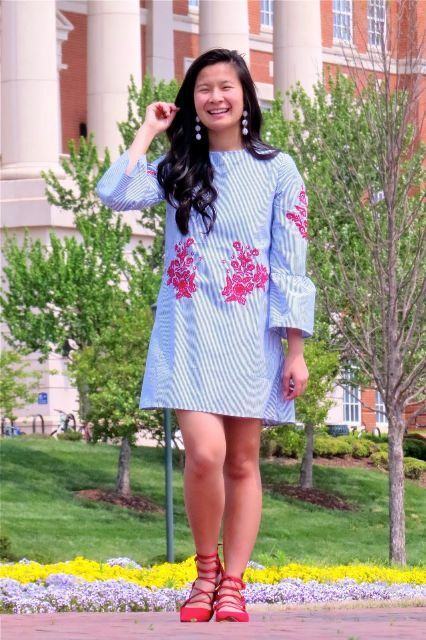 First of all, depending on your wishes and favorite style you should pick up a type of dresses, for example, for an event you can choose an off the shoulder bell sleeve knee-length dress and for travel or vacation looks you can take a floral mini dress and combine it with sneakers. Now you can scroll down to see all ideas. The easiest way to look ideally is to combine a flirty floral bell sleeve straight mini dress with white sneakers and a beige small crossbody bag. If you love a minimalistic style, then choose a monophonic dress, for example, a light blue oversized one and pair it with a pale pink bag and gray sneakers. Wanna something elegant? Then pay your attention to a white lace bell sleeve dress and mix it with a black leather bag and beige and brown lace up flat shoes. For a more official outfit you can choose pastel colored dresses. 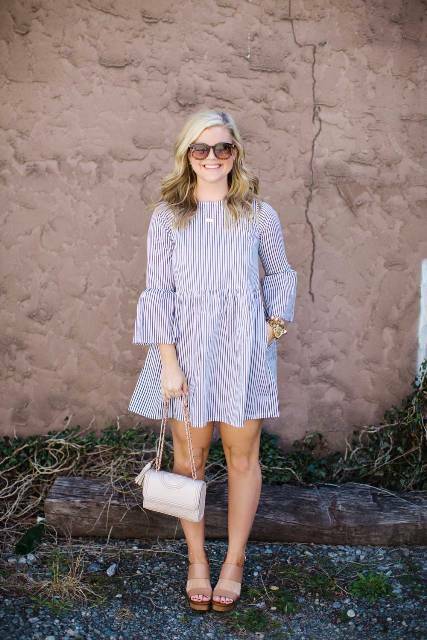 For example, take a pale pink off the shoulder knee-length dress with bell sleeves and combine it with a white tote, sunglasses and beige ankle strap pumps. For casual or vacation outfits you can choose printed dresses, so choose a striped one and mix it with a chain strap small bag, oversized sunglasses and brown and beige platform sandals. Or get a green and white floral mini one and pair it with a beige leather bag and ankle strap sandals.